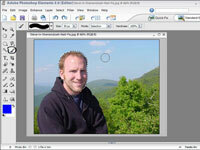 1Select the area of your image that you want to move to a new layer. You can use the Brush, Magic Wand, or Rectangular Marquee selection tool. 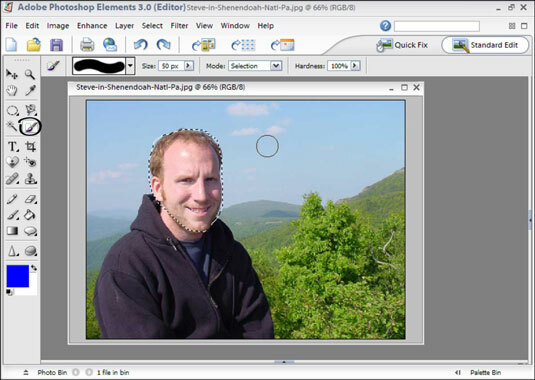 Photoshop Elements displays the area surrounded by a dashed selection line (see figure). 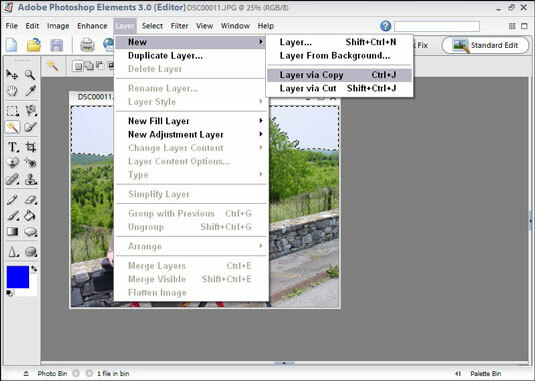 2Choose Layer→New, then either Layer Via Copy or Layer Via Cut. These options move the selection to a new layer. 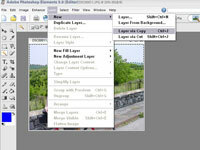 You can name, modify, delete, or transform the new layer without making any change to the original layer. The area of the photo you originally selected now lives on the new layer.